After the huge success of Pokémon Go, the video game company Nintendo on Thursday announced that it is re-releasing the facsimile of the NES (Nintendo Entertainment System) version. The new mini NES classic edition will hit the market later this year on 11th November in North America and The UK. The classic NES console, priced at $59.99 comes with 30 built-in classic Nintendo games which include the popular titles like Super Mario Bros.1,2 and 3, The Legend of Zelda, Tecmo Bowl, and Donkey Kong. 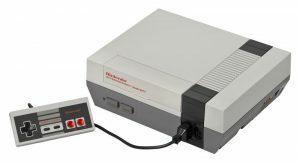 The classic edition is a “mini replica” of the original 1985 NES, which now comes with few modern features and conveniences like an HDMI cable, adapter and a controller that imitates the original NE. Players can collect an extra classic control pad for two player game sessions for just $9.99. You can also connect the controllers with Wii U and Wii. “We wanted to give fans of all ages the opportunity to revisit Nintendo’s original system and rediscover why they fell in love with Nintendo in the first place,” stated Reggie Fils-Aime, president and chief operating officer of Nintendo of America in a statement. The New Mini Classic Edition Nintendo is packed with 30 games – Balloon Fight, BUBBLE BOBBLE, Castlevania, Castlevania II: Simon’s Quest, Donkey Kong, Donkey Kong Jr., DOUBLE DRAGON II: THE REVENGE, Dr. Mario, Excitebike, FINAL FANTASY, Galaga, GHOSTS’N GOBLINS, GRADIUS, Ice Climber, Kid Icarus, Kirby’s Adventure, Mario Bros., MEGA MAN 2, Metroid, NINJA GAIDEN, PAC-MAN, Punch-Out!! Featuring Mr. Dream, StarTropics, SUPER C, Super Mario Bros., Super Mario Bros. 2, Super Mario Bros. 3, TECMO BOWL, The Legend of Zelda and Zelda II: The Adventure of Link. So, if you are also an old Nintendo lover like me you need to wait for six more weeks to pick-up a new mini classic edition NES. 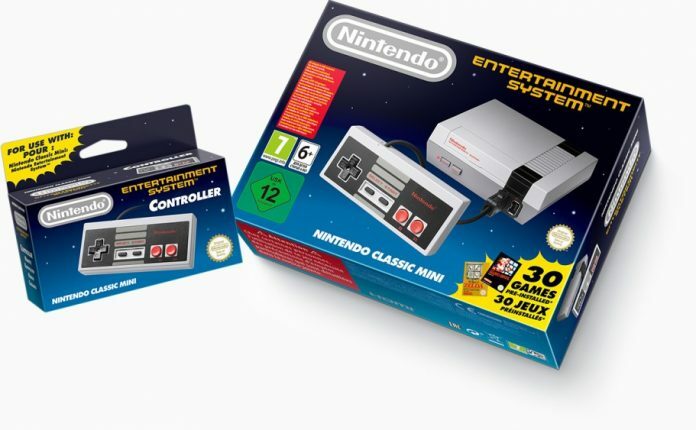 Well, one more detail about the mini classic version is that the UK edition will not come with an own AC adapter which is packed in the North American console. However it’s been a great week for Nintendo after the hit of its first mobile game, Pokémon GO will is collecting billions in the market and as we know the next-generation NX is all set for release soon. Finally, the company has come back to the form after years of resting.